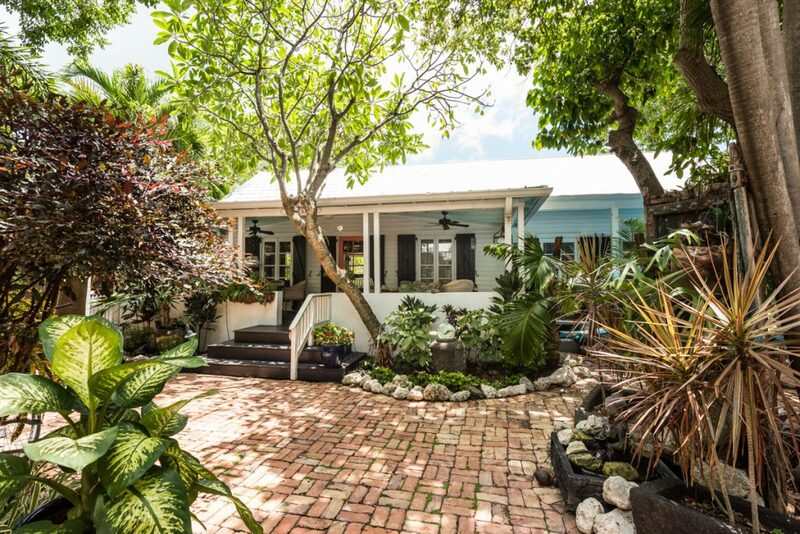 3322 Duck Avenue, Key West, FL 33040—SOLD $369,000. 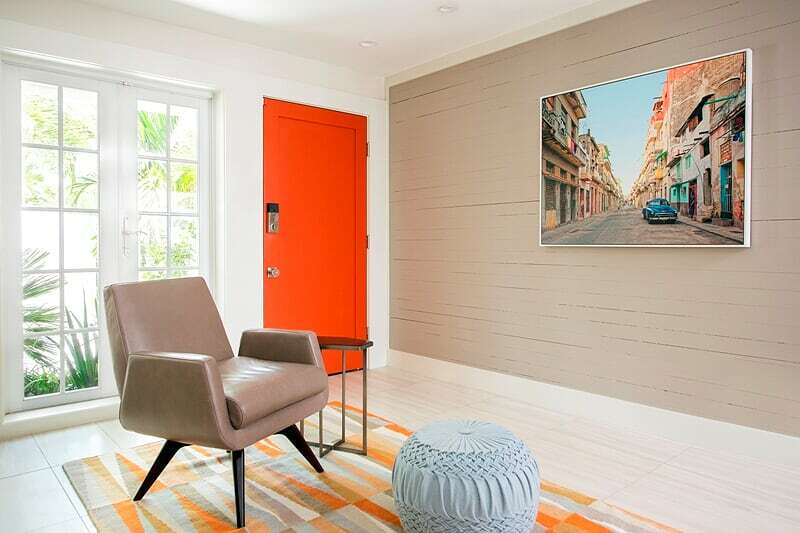 The common definition of a starter home is: a relatively small, economical house or condominium that meets the requirements of young people buying their first home. 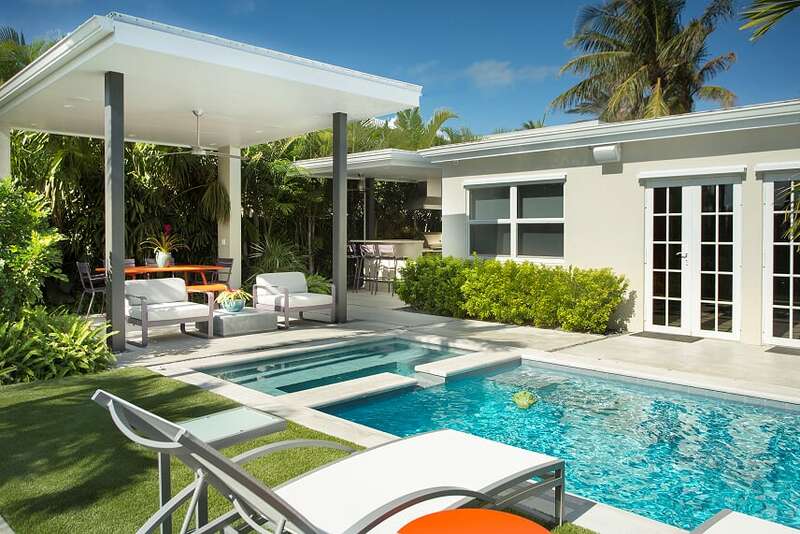 In Key West, a broader definition is required to encompass the realities of island living. 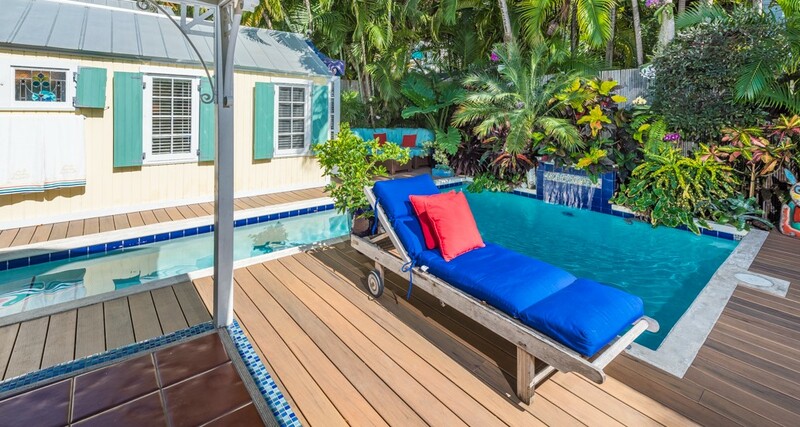 Let’s face it, real estate in Key West is not inexpensive. 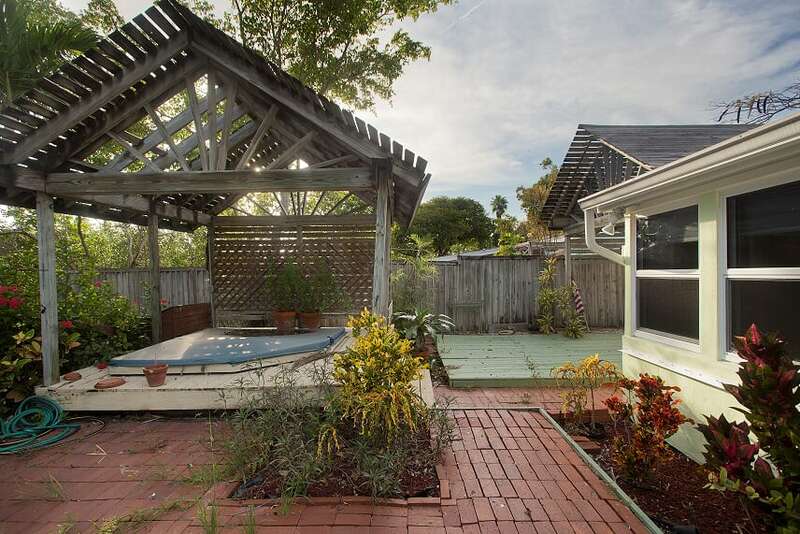 While many newcomers dream of finding a spacious Old Town cottage with a sparkling pool, nestled on a quiet lane, that is just a short stroll to Duval Street, the harsh realities of our housing market can be daunting. 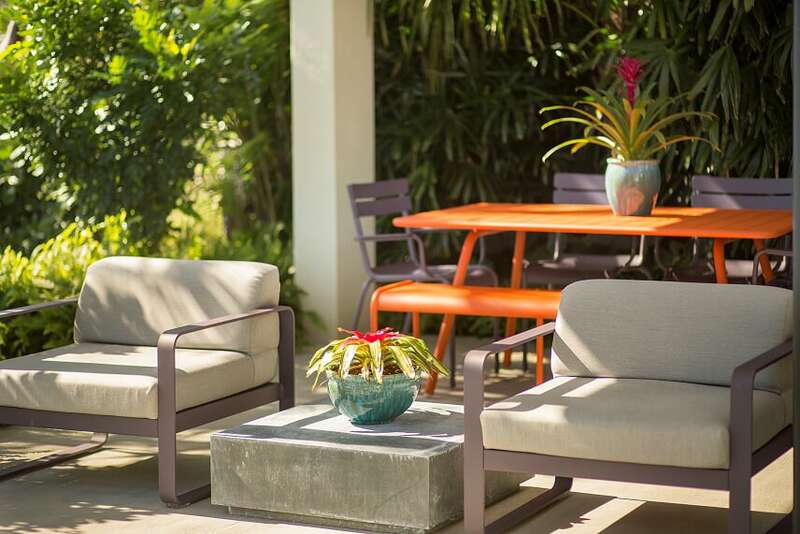 Consequently, for those sea, sun, and sand filled souls that can’t imagine starting out in life—or starting life anew—anywhere that cannot easily be described as a tropical paradise, expectations often must be adjusted. 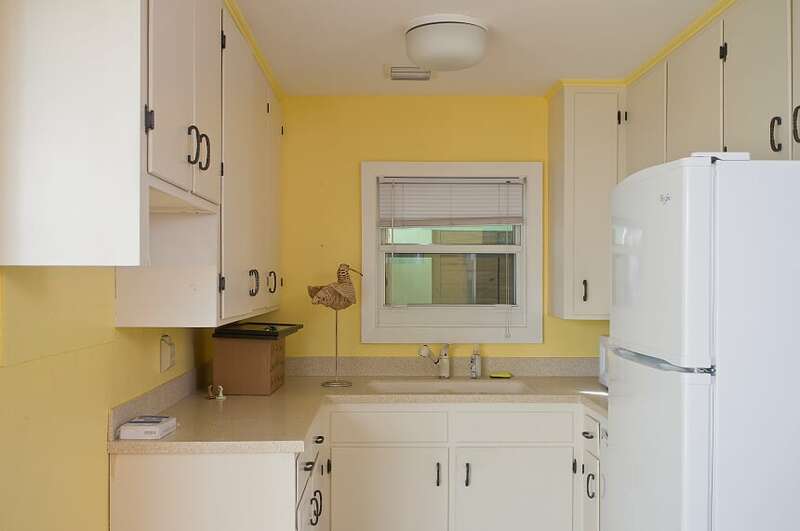 What you get for $379,000.00 in Cleveland, is not what you get here. 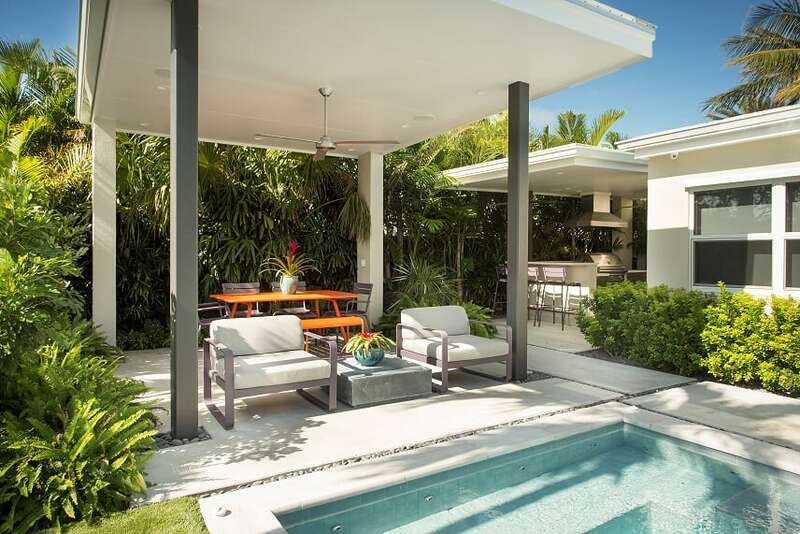 In Key West, downsizing is not just for empty nesters. 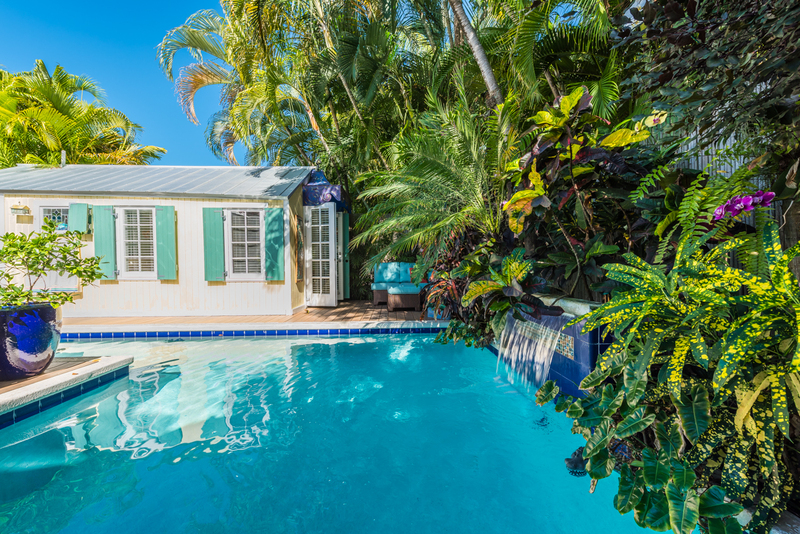 For most buyers, a Key West starter home will generally cost more, be smaller, lack a pool, and will not be in the historic district. 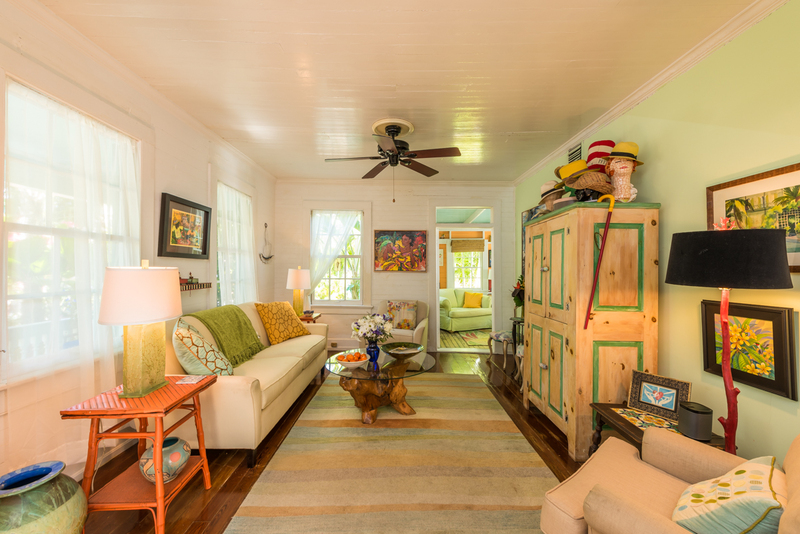 That being said, wonderful island homes are waiting to be discovered. 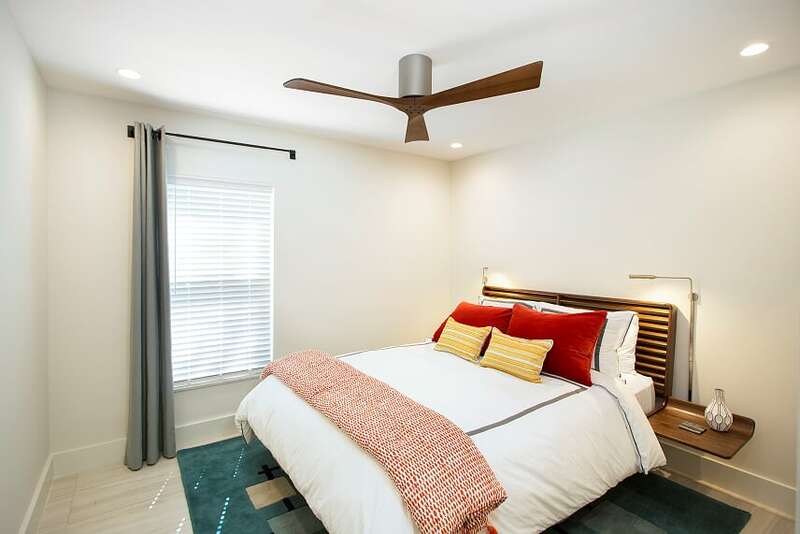 Move-in-ready with 2 bedrooms, 1.5 baths, and 1,041 sq. 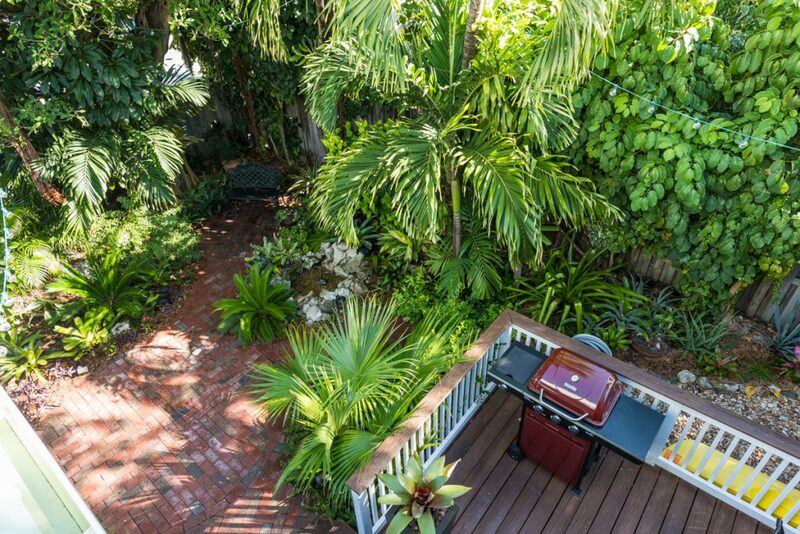 ft. of living space, the charming townhome at 3322 Duck Avenue might just be the Key West starter home of your dreams. 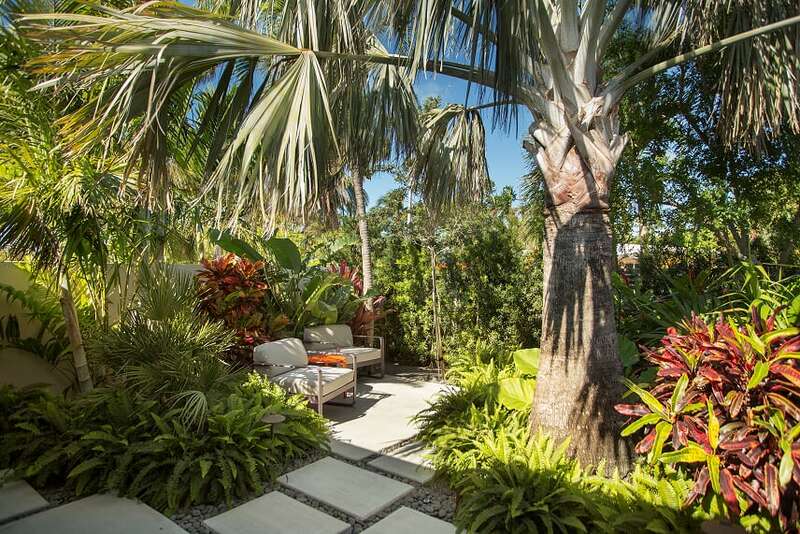 Off-street parking leads to a private tropical garden. 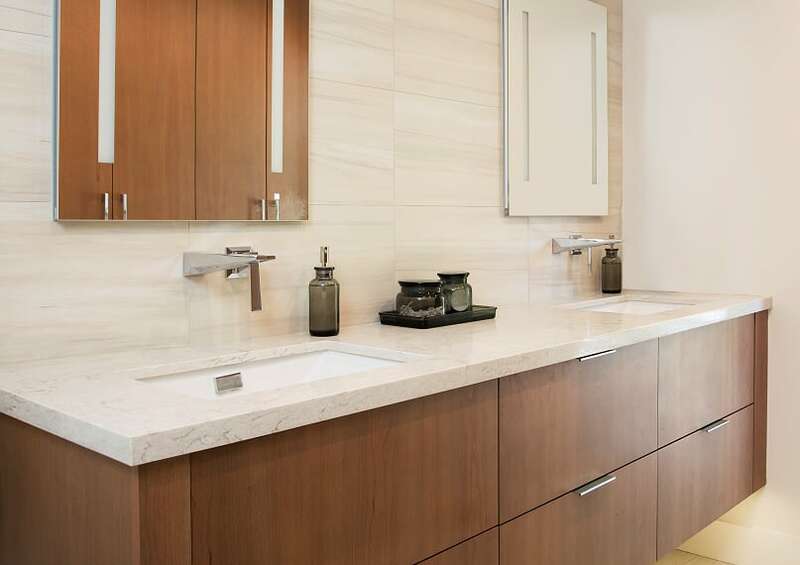 Showcasing a custom brick path, inviting water feature, irrigation system, accent lighting, and outdoor shower, this lush corner of paradise will welcome you home. 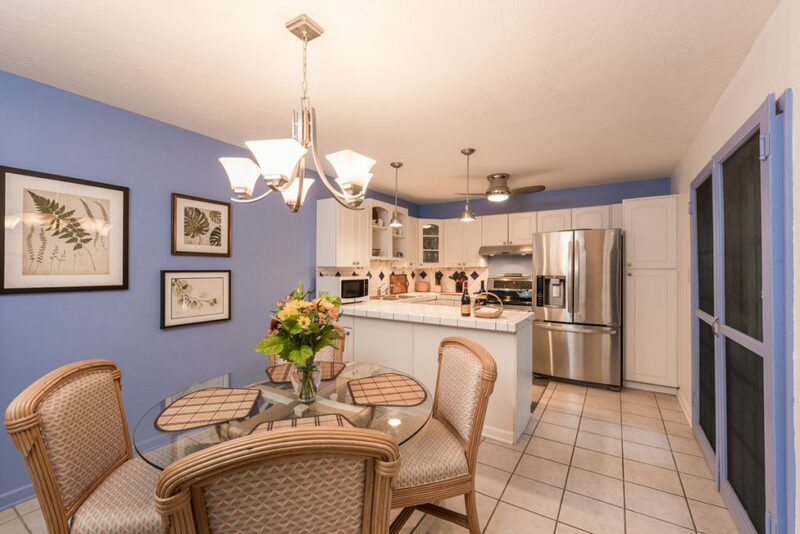 Perfect for entertaining, both the spacious living room and eat-in kitchen open through French doors to a generous deck. 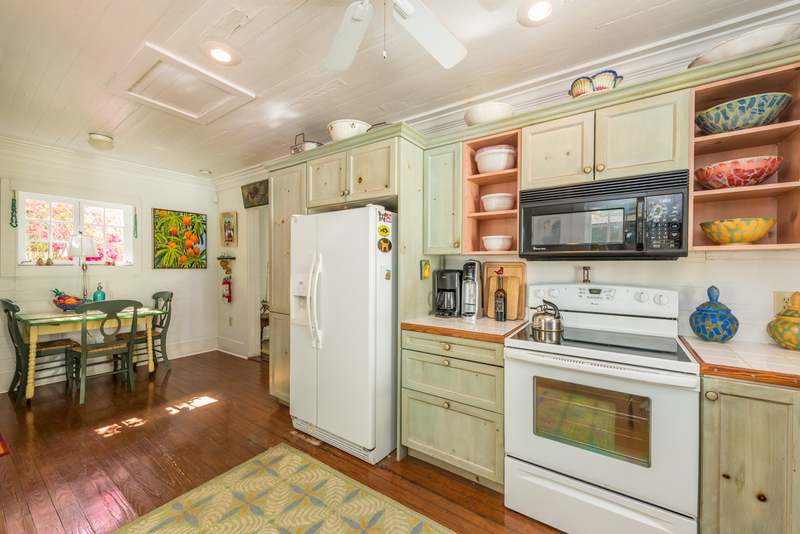 The bright kitchen has been updated with stainless steel appliances. 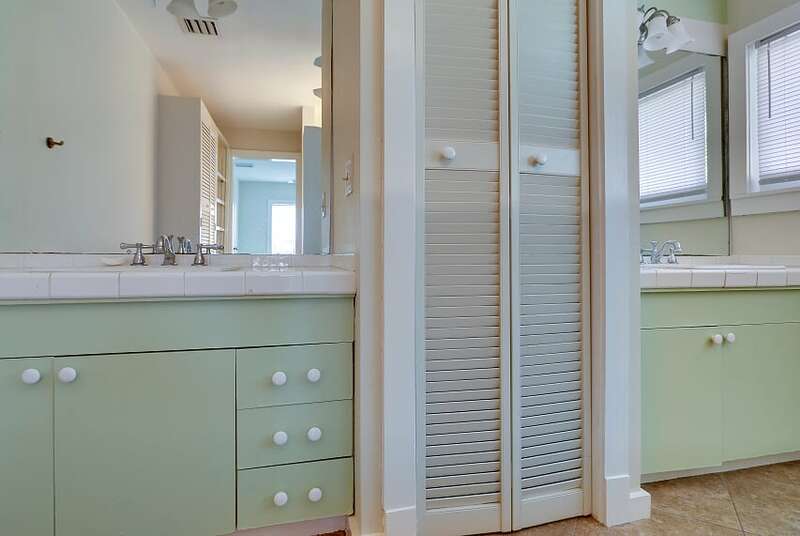 The renovated first floor half bath includes the laundry. 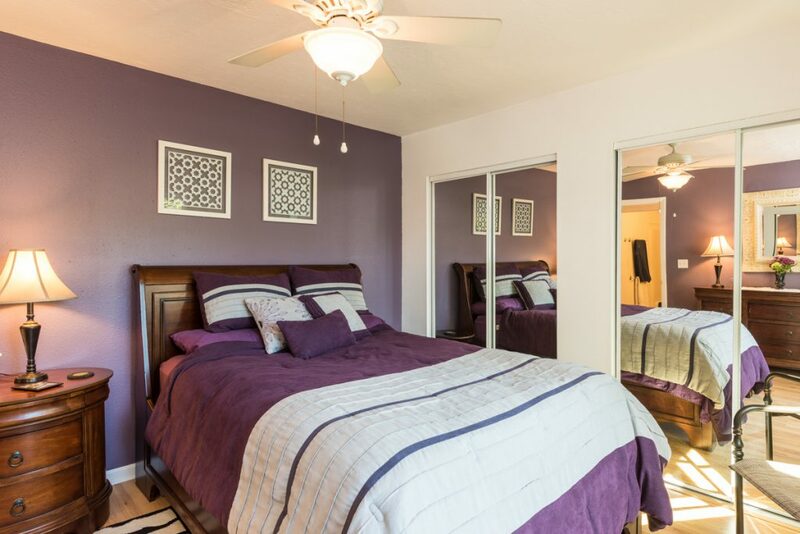 Sliding glass doors allow twin master bedrooms to flow to the sunny upstairs balcony overlooking the garden. 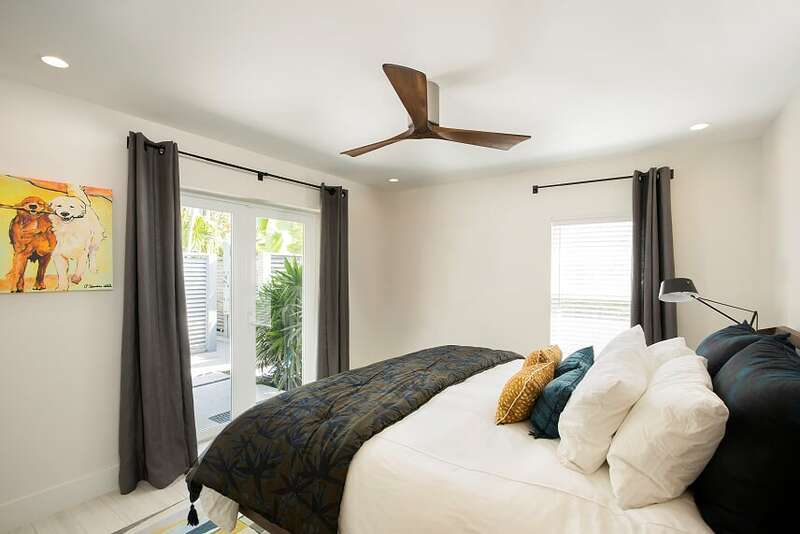 Embrace a laid-back island lifestyle and enjoy affordable Key West living at its best in this beautiful New Town townhouse: the perfect Key West starter home. 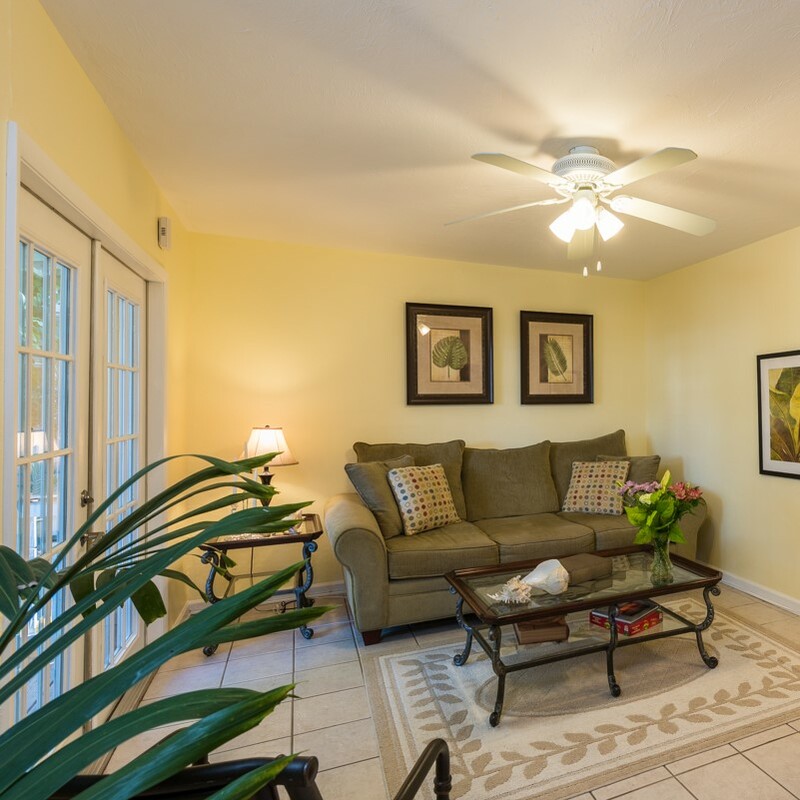 Click here to enjoy a virtual tour of this charming island townhome. 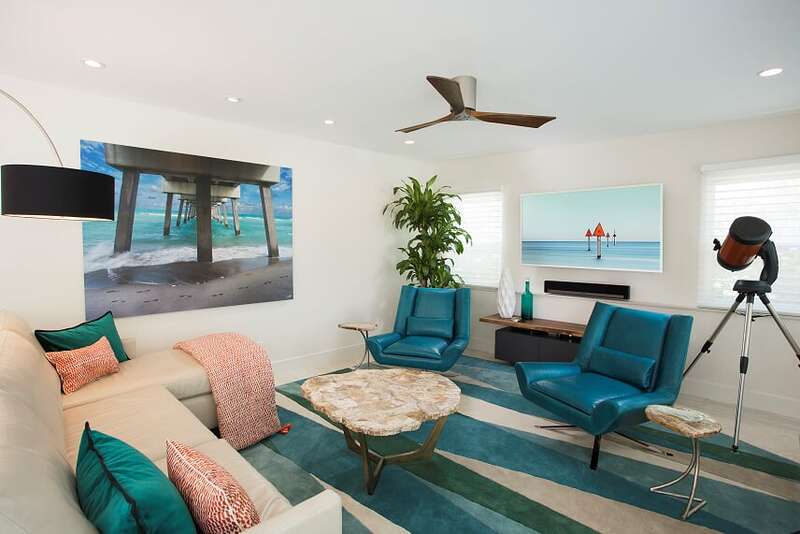 This entry was posted in Homes We Love and tagged homes, Key West, key west real estate, New Town Key West, real estate, townhome, townhouse, tropical gardens on October 21, 2016 by Dean. 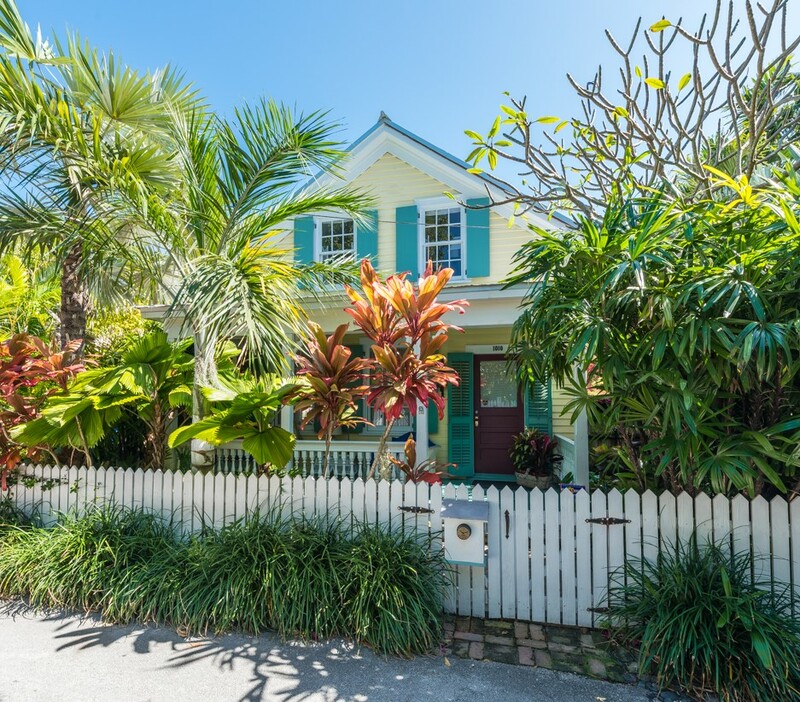 824 Thomas Street, Key West, FL—SOLD $924,500. 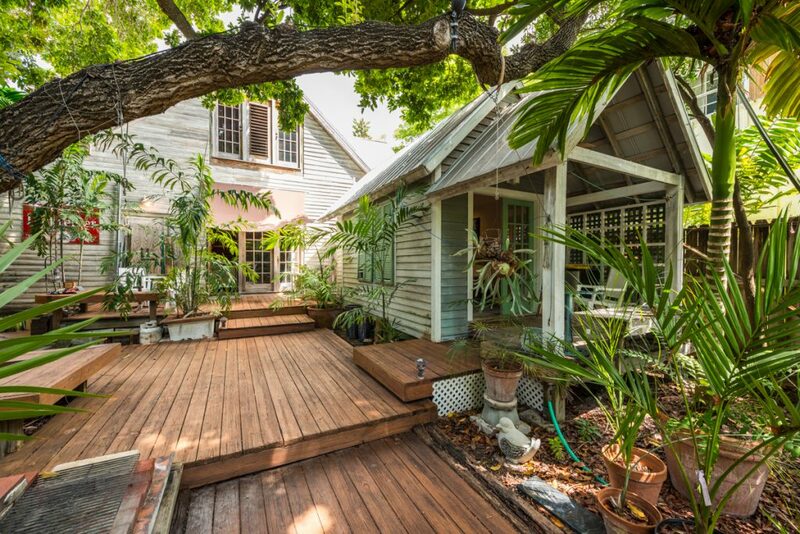 If you have dreamed of finding a historic barn, firehouse, or church and turning it into a one-of-a-kind showplace—or lost a Sunday afternoon captivated by amazing home conversions on HGTV—then our new listing at 824 Thomas Street, in Key West’s historic Bahama Village, is your dream come true. 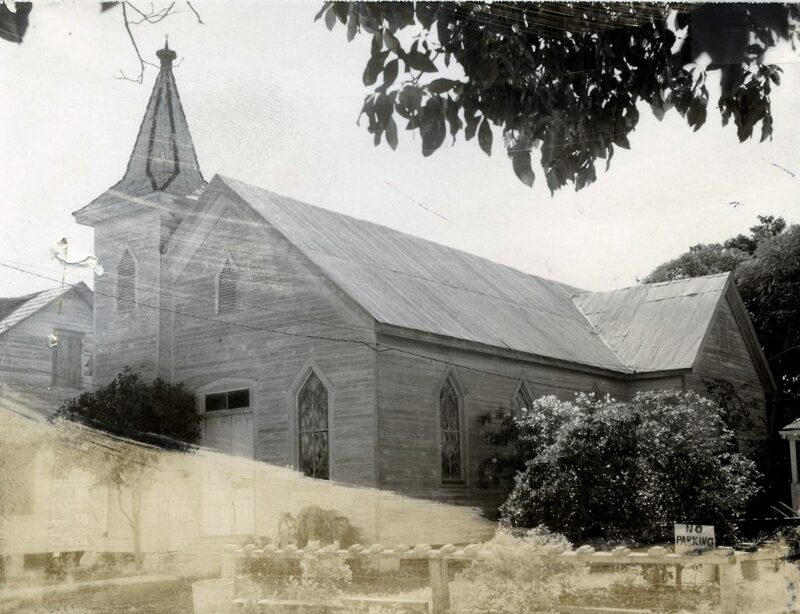 Erected by former slaves in 1867, the Zion Primitive Baptist Church was rebuilt in 1911. 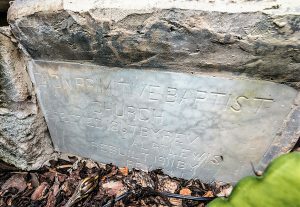 The African American congregation closed its doors in the 1970’s and the current owner converted the church to an extraordinary single-family home in 1983. Elementary architectural features attest to its ecclesiastical origins. The simple elegance of the corner steeple, prominent double-door entrance, and pointed-arch windows reflect the structure’s Carpenter Gothic style. 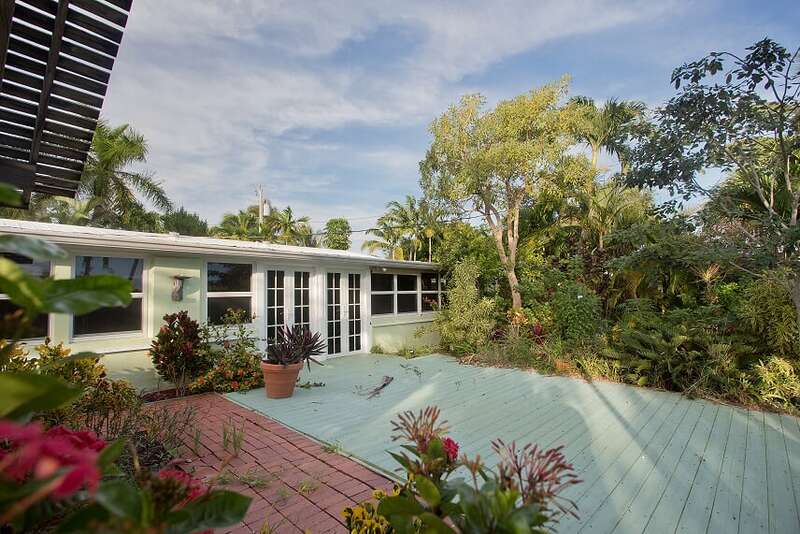 Being offered for sale for the first time in 33 years, 824 Thomas Street presents a once-in-a-lifetime opportunity to acquire a truly unique Key West property. 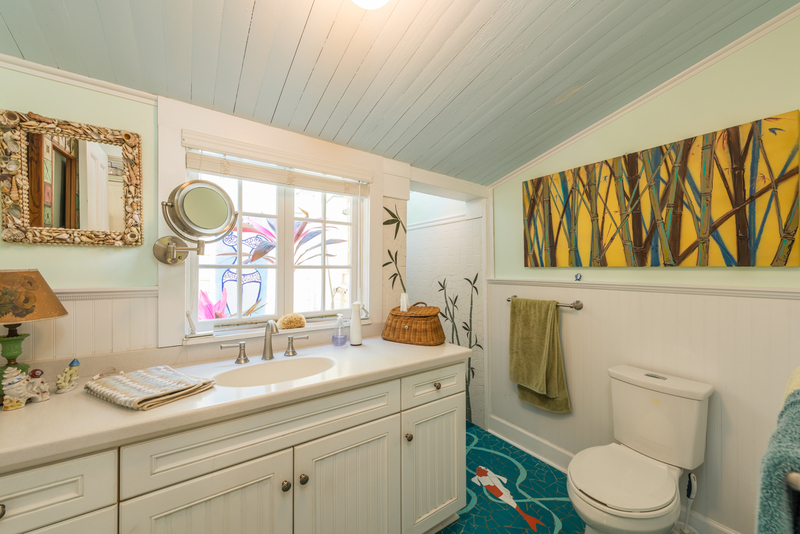 Working on the project for over three decades, the craftsman owner has created an unforgettable home with 2,692 square feet of living space on a lot of 4,865 square feet. 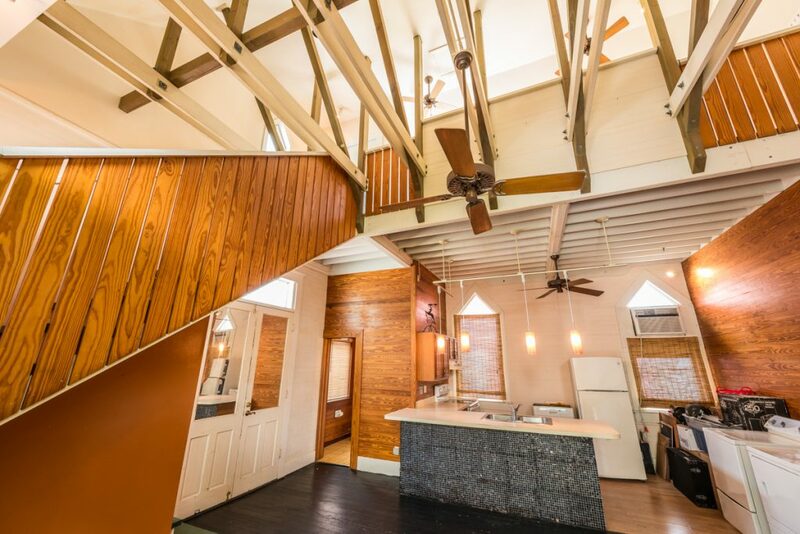 The converted church structure features two dramatic living spaces: a 2 bedroom/1 bath main living area and a 1 bedroom/1 bath Mother-in-Law suite/artist’s studio. 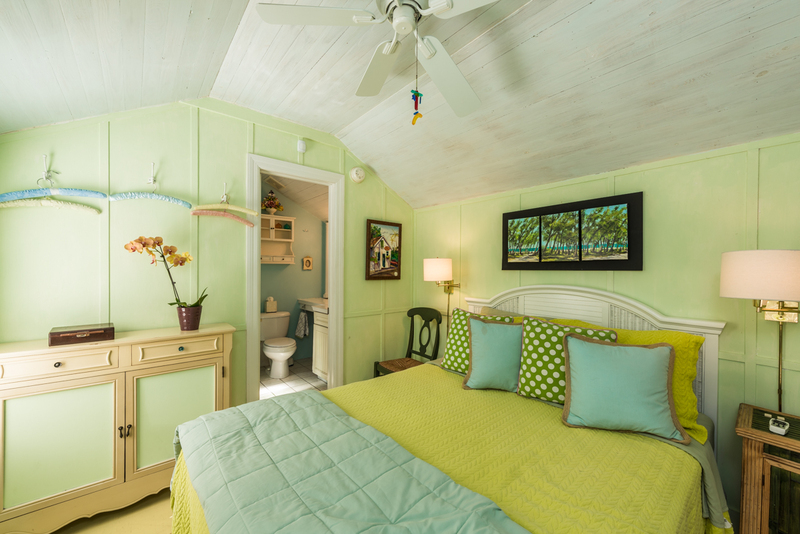 A charming 1 bedroom/1 bath guest cottage and a spacious storage shed can be found in the tropical backyard garden. 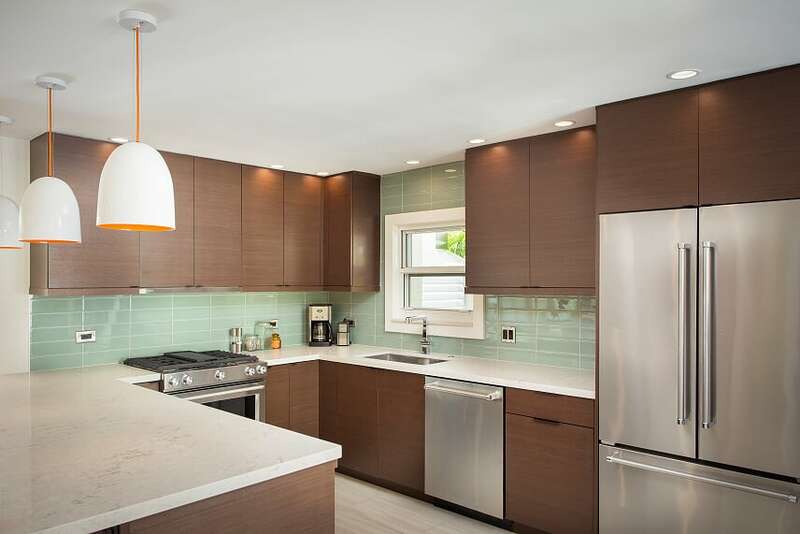 Generous off-street parking and a prized X Flood Zone location add to the property’s substantial charms. 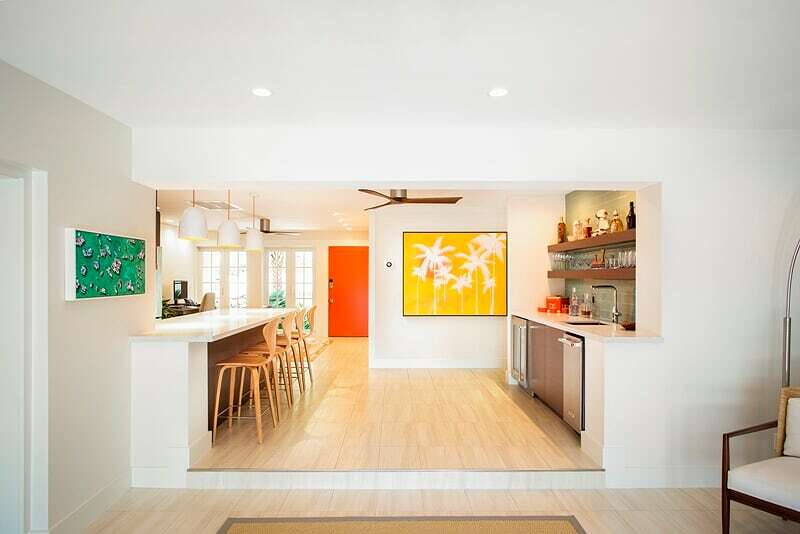 The main living area offers striking spaces rarely seen in Key West. 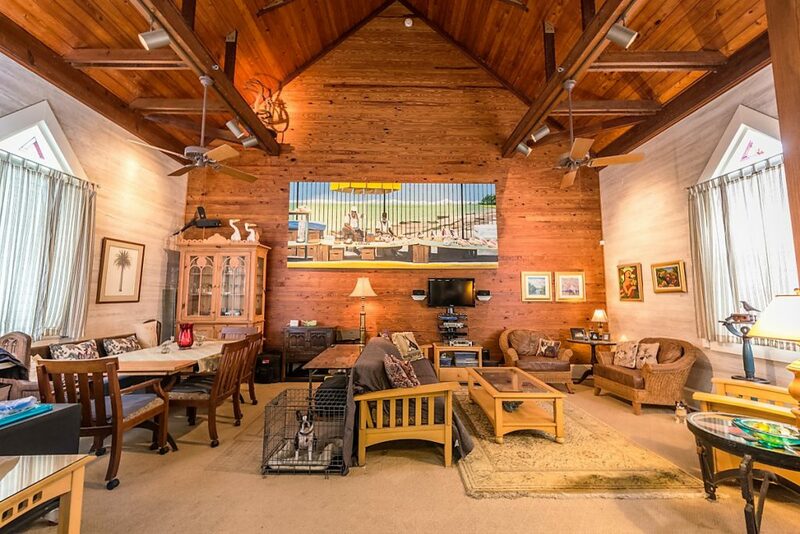 Soaring to 27 feet at its peak, the great room’s beamed ceiling is breathtaking. 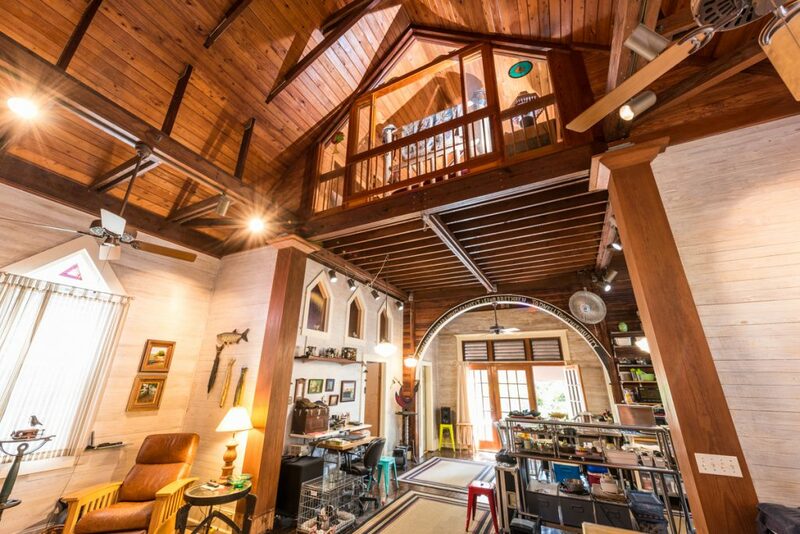 Original Romanesque arches and unique craftsman features demand one’s eye at every turn. 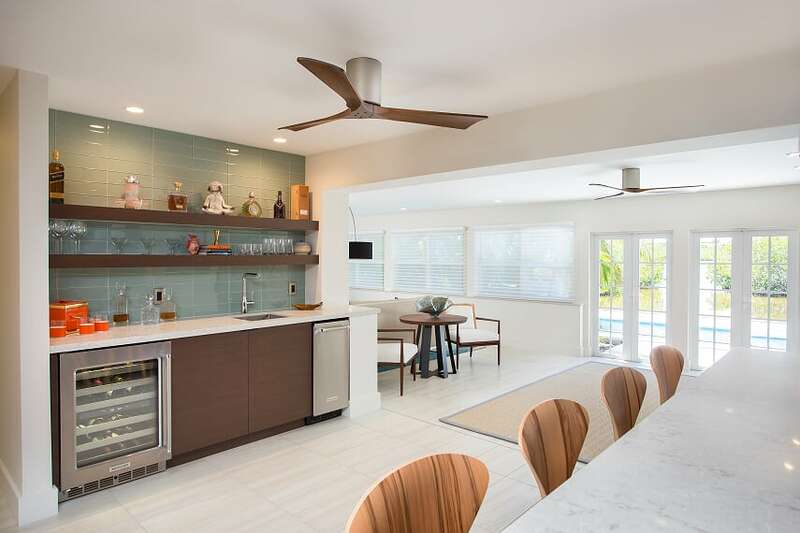 With outstanding flow from the great room to the massive kitchen space and out to the garden, the home is ideal for entertaining. 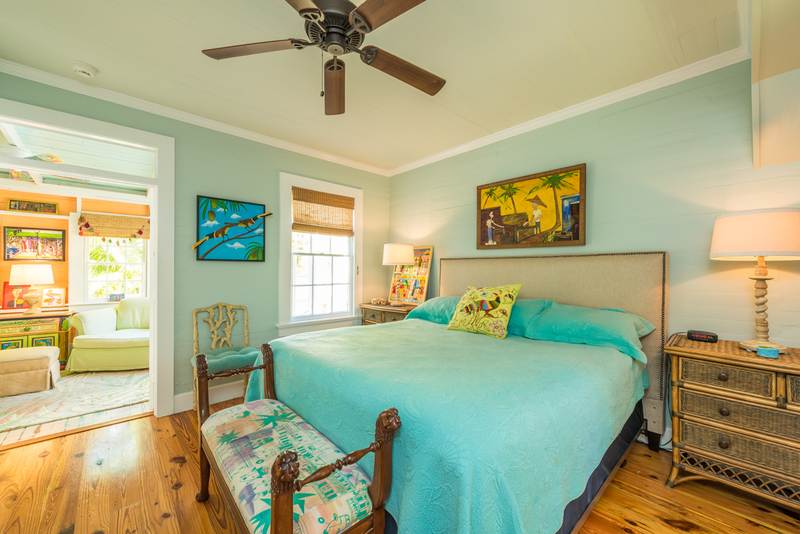 A cozy guestroom, full bath, and large laundry complete the first floor. 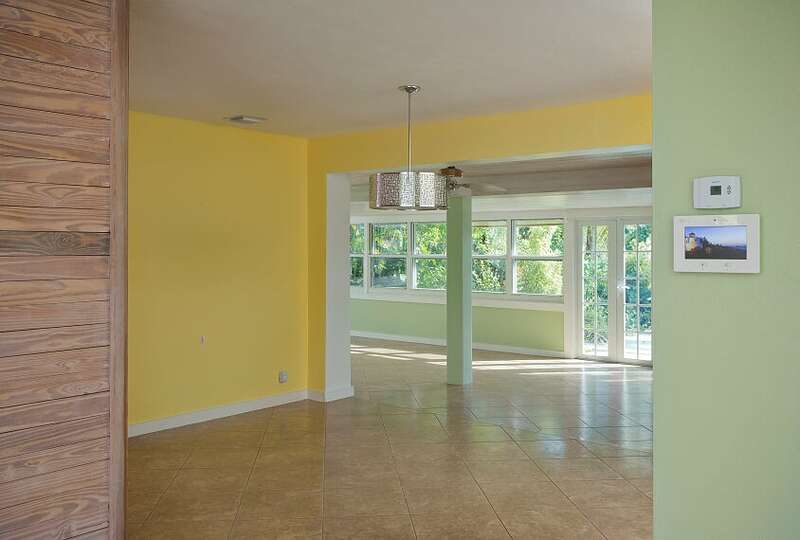 Looking over both the great room and the backyard, a grand master bedroom dominates the second story. 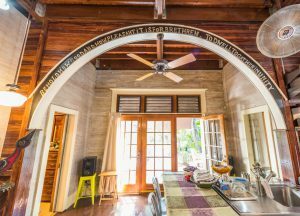 A lofty, 1 bedroom/1 bath, Mother-in-Law suite has been created in the front of the converted church structure. 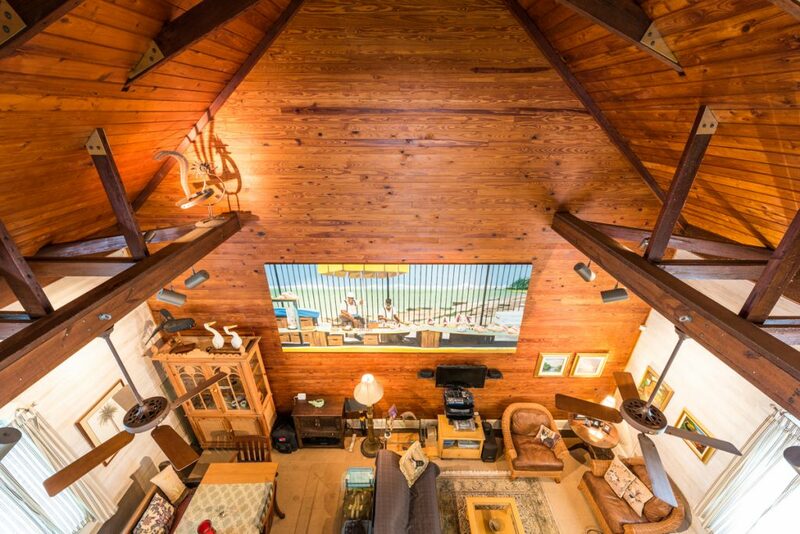 Architectural Fir wood beams add to the drama of the space’s 27’ ceiling. 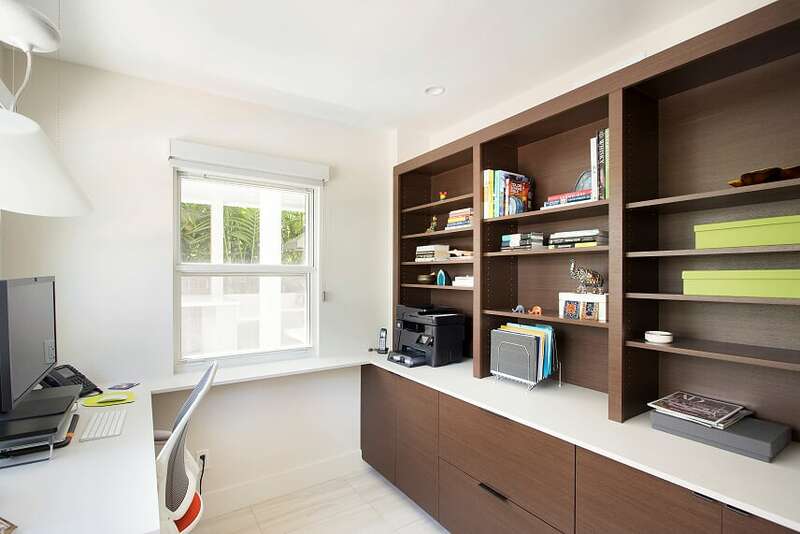 A roomy loft bedroom—with skylights—looks out over open plan living below. 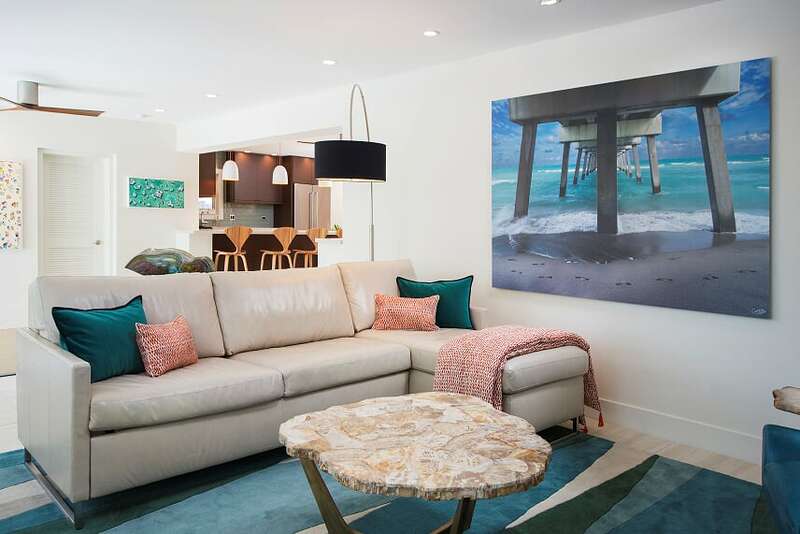 The towering space calls out for an artist to take up residence. 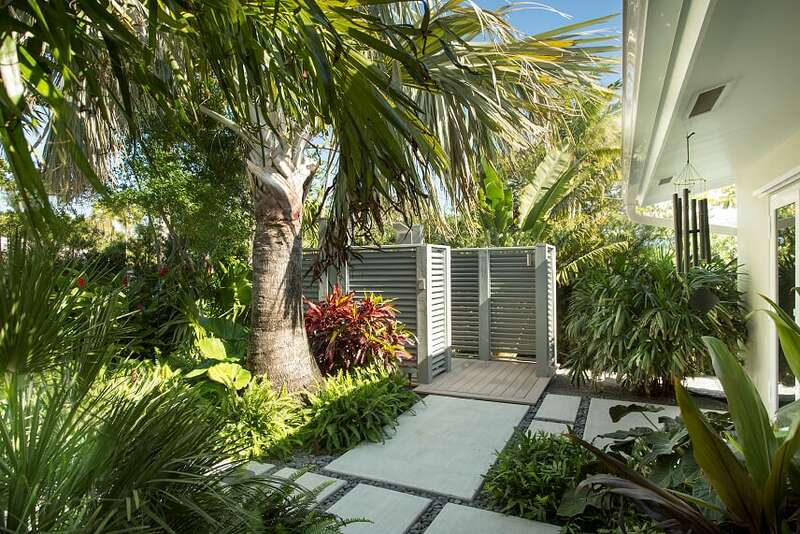 A secret garden can be found at the back of the property. 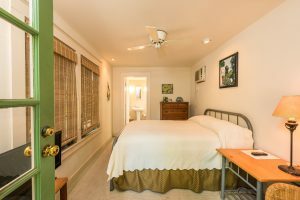 Overlooking the mature tropical garden, a historic, 1 bedroom/1 bath, guest cottage offers visitors a charming private retreat. 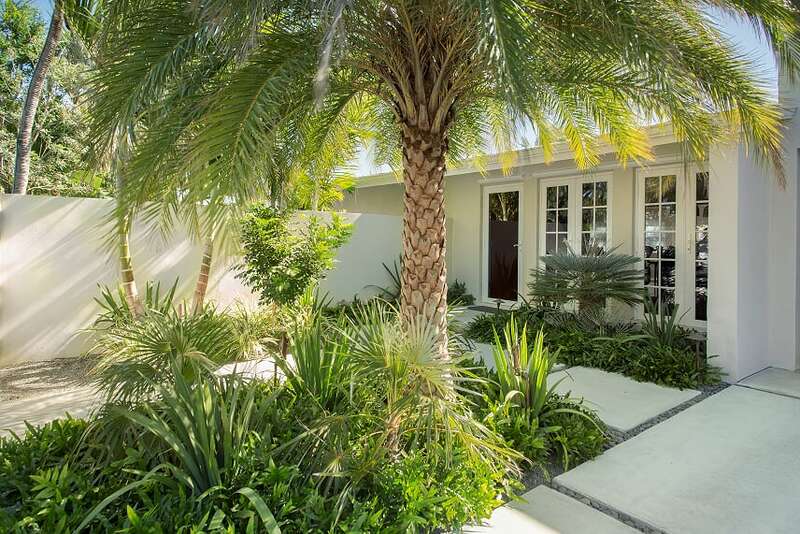 The deep lot is beautifully landscaped with rare palms and features a grand old Sapodilla tree. 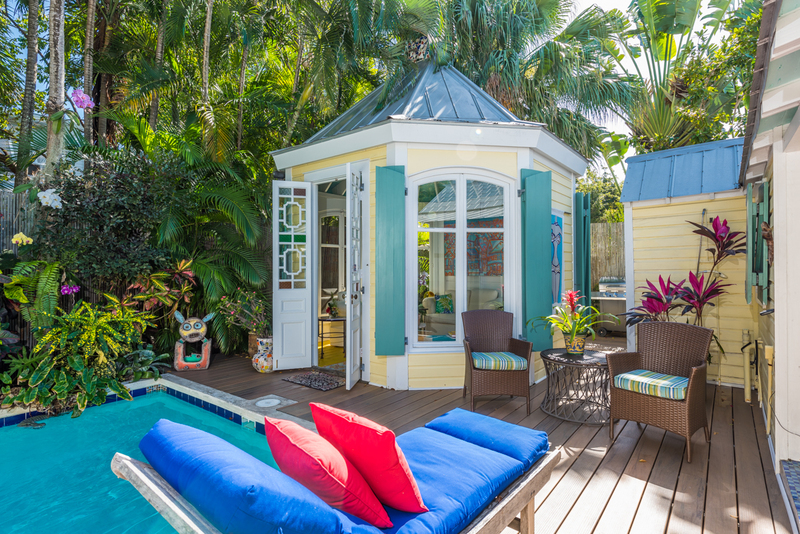 With a generous storage shed, privacy, and room for a sparkling pool, the backyard garden is a rare gem in the Key West Historic District. 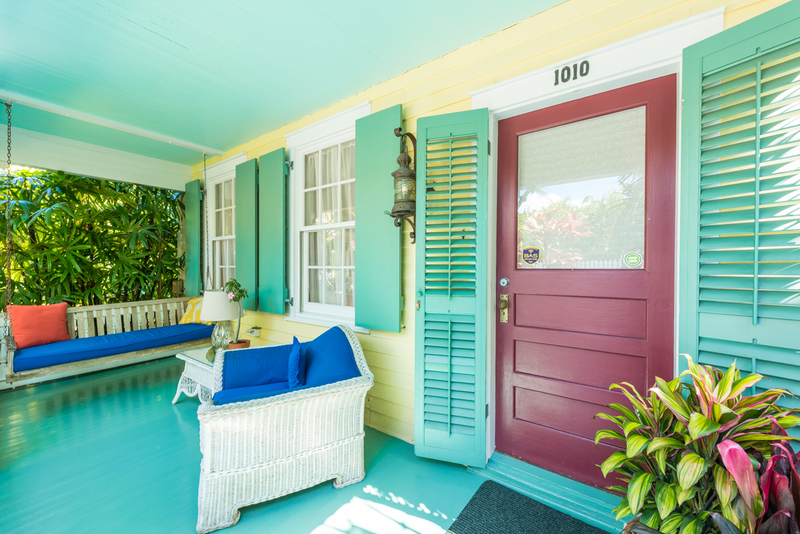 Nothing less than a Bahama Village Neighborhood landmark, 824 Thomas Street is routinely photographed, sketched, and painted by visitors and artists from around the world. 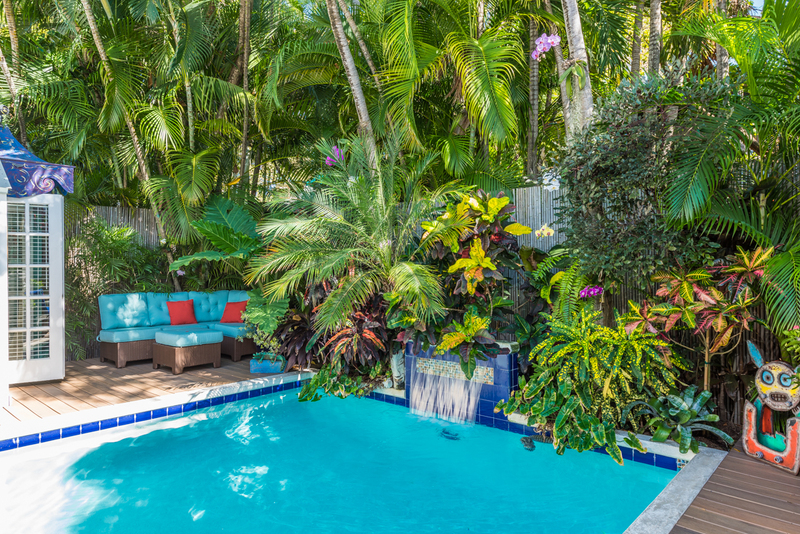 Iconic Key West restaurant, Blue Heaven, can be found on the corner, the Ernest Hemingway Home and Museum sits a block away, and you are just a two-block stroll to all the best of world famous Duval Street. 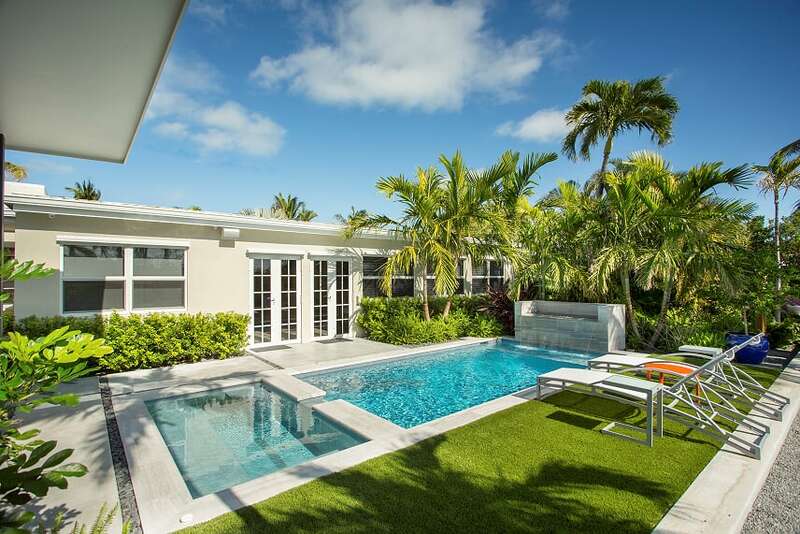 Since we first toured this incomparable home, we have not stopped daydreaming about what we would do to make it our own. 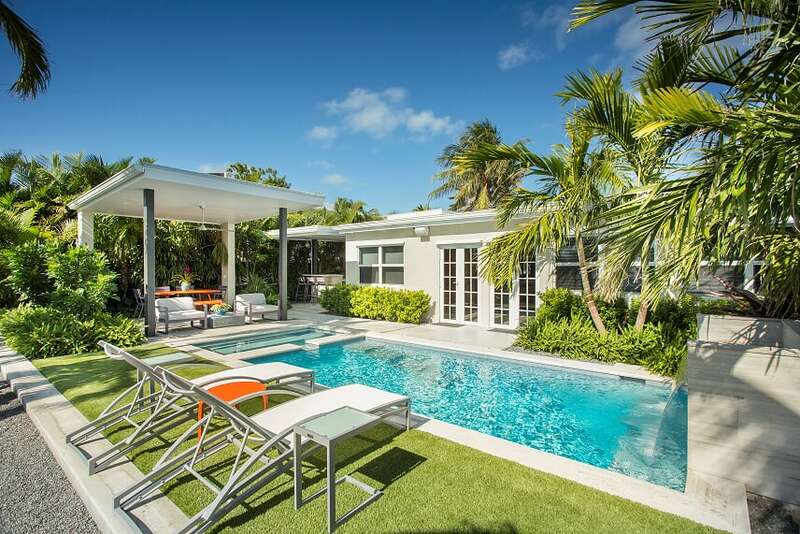 We wish we were buying this wondrous corner of paradise. 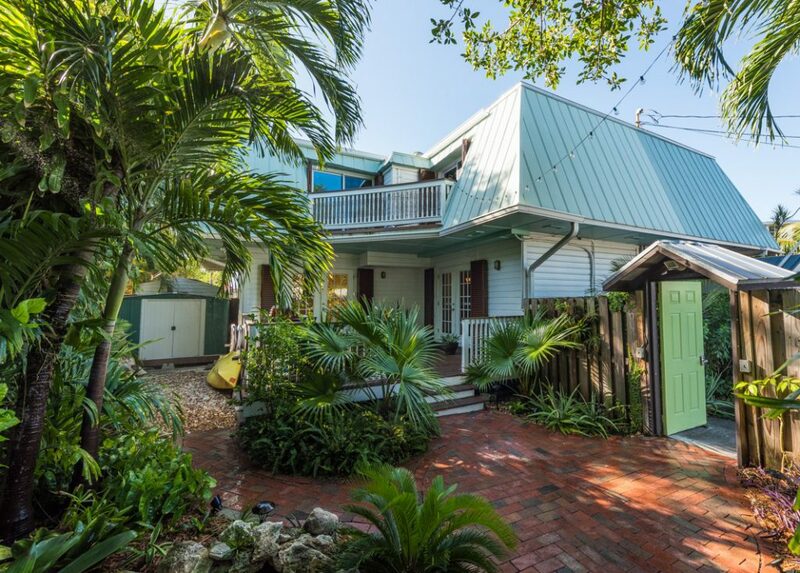 Click here to enjoy of virtual tour of this truly one-of-a-kind Key West home. 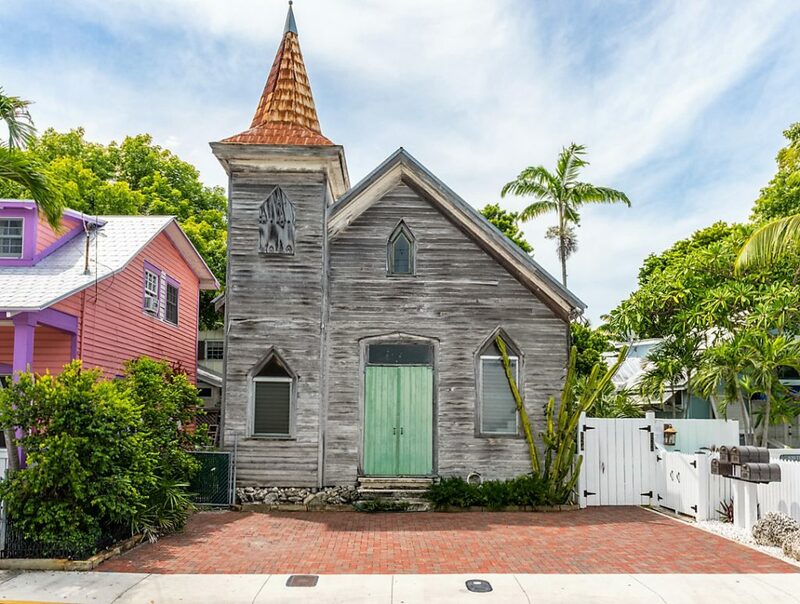 This entry was posted in Homes We Love and tagged African American Churches, Bahama Village, Carpenter Gothic Style, Converted Church, cottage style, Historic Churches, Home Conversion, Key West, Key West estates, Key West history, Old Key West, Old Town, real estate, tropical gardens, Zion Primitive Baptist Church on September 27, 2016 by Dean. 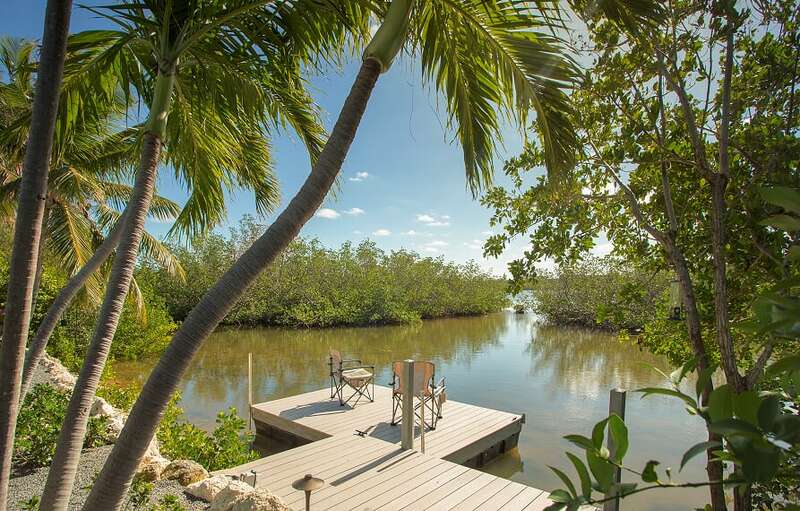 618 Catholic Lane & 1022 Roberts Lane, Key West, FL 33040—$2,400,000. 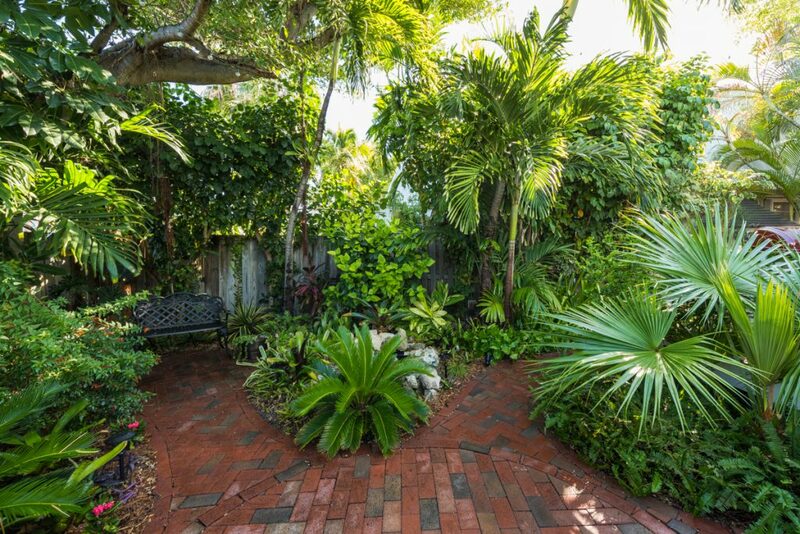 Tucked away at the end of two tranquil Old Town lanes, the combined properties of 618 Catholic Lane and 1022 Roberts Lane offer a private and secluded sanctuary to love. 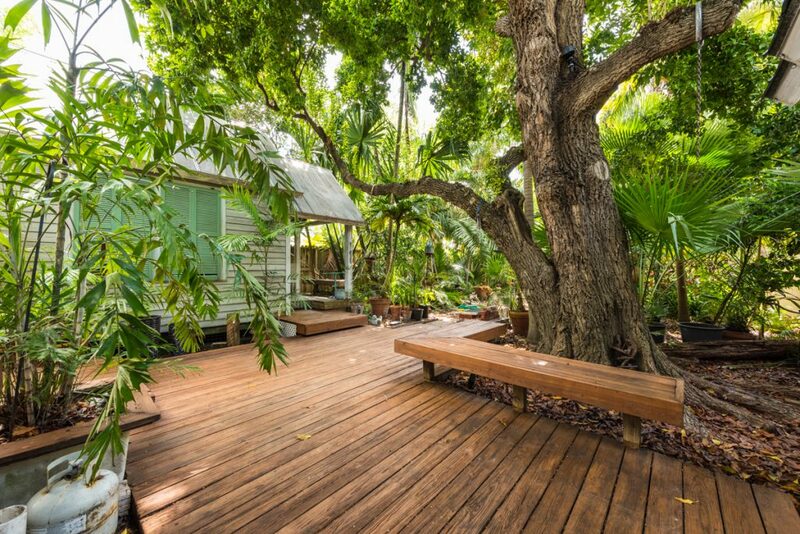 Not to be seen on the Key West Association of REALTORS® MLS, Realtor.com, or Zillow.com, this beautiful Key West compound is quietly being offered for sale for the first time. 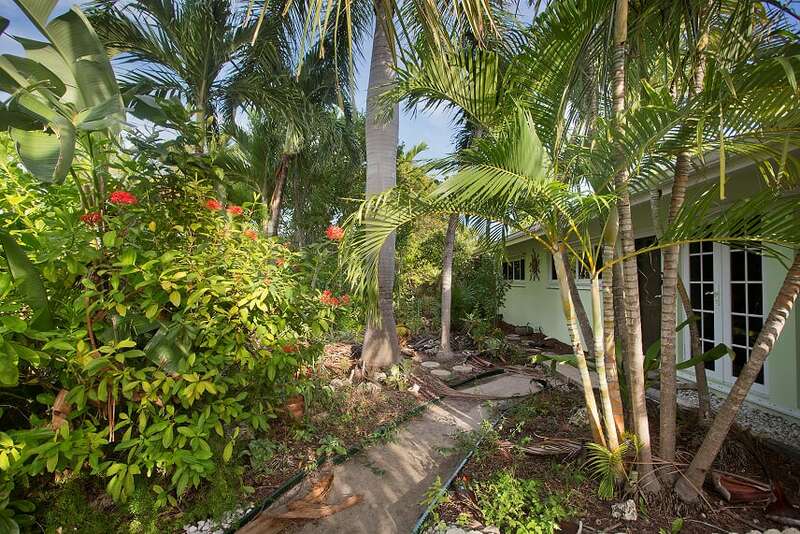 A charming single story, 2 bedroom/2 bath, 1,200 square foot main house smiles across a gorgeous tropical garden to an unforgettable one level, 1 bedroom/1.5 bath, 708 square foot guest cottage. 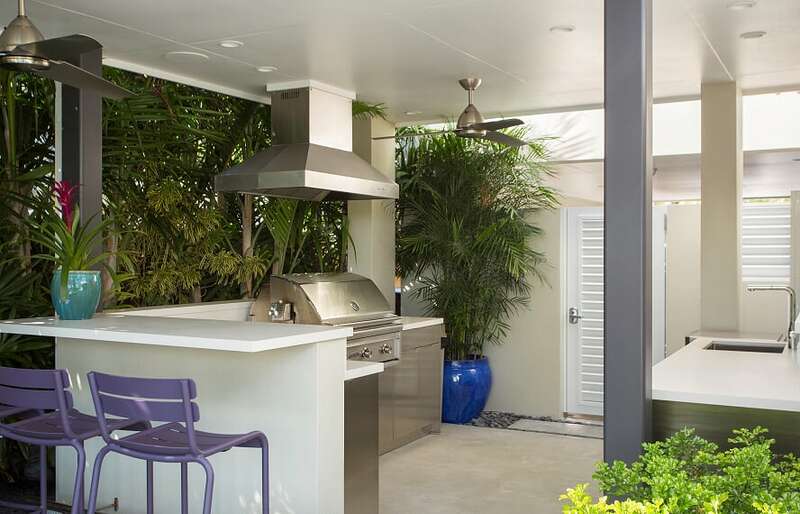 With inviting covered outdoor space, a sparkling pool, and generous room for alfresco entertaining, the compound offers the best of island living. 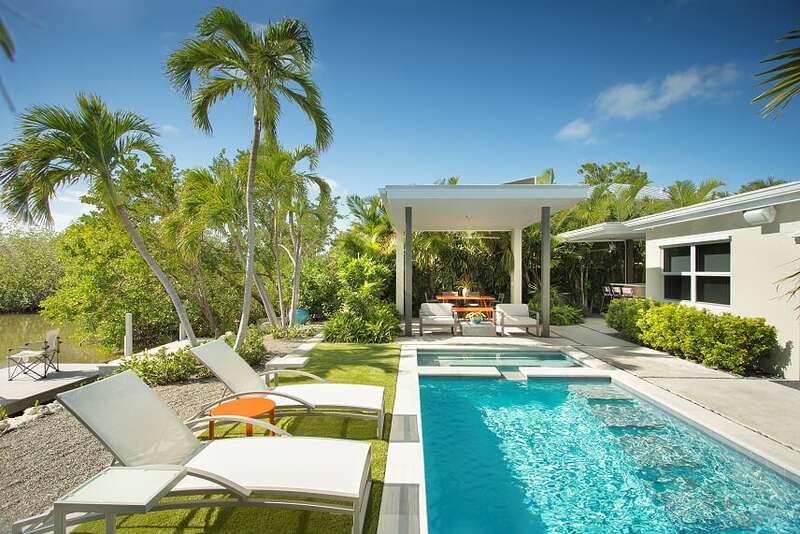 When it comes to Key West properties, there are special properties and there are once in a lifetime opportunities. 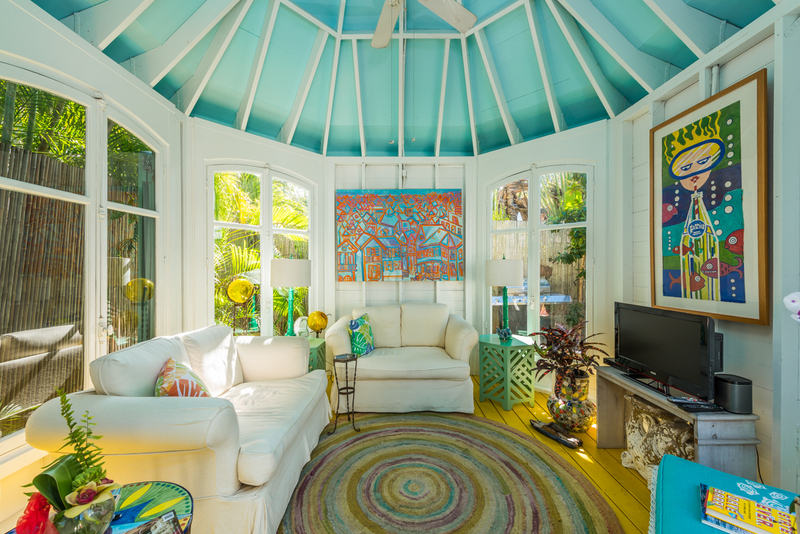 This remarkable refuge is a rare gem in the heart of Old Town. It is not to be missed. 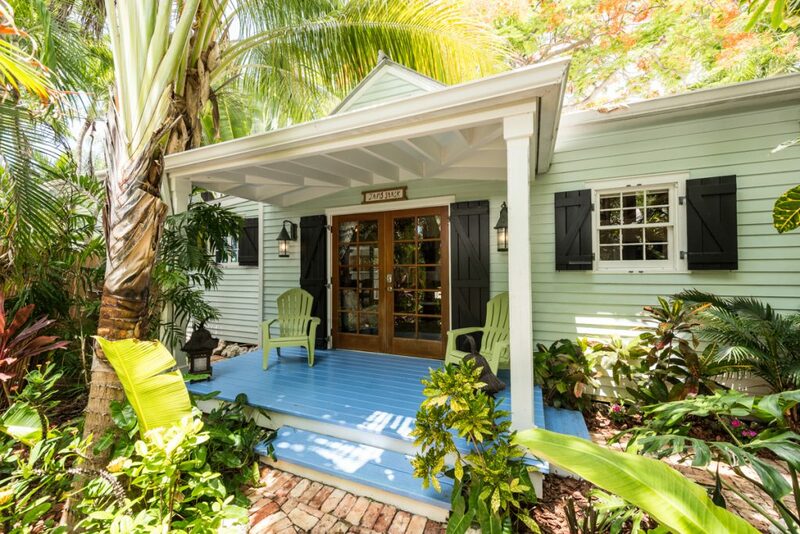 This entry was posted in Homes We Love and tagged cottage style, front porches, Key West, Key West Compound, Key West cottage style, Key West cottages, Key West estates, key west real estate, Old Key West, Old Town, tropical gardens on August 2, 2016 by Dean.